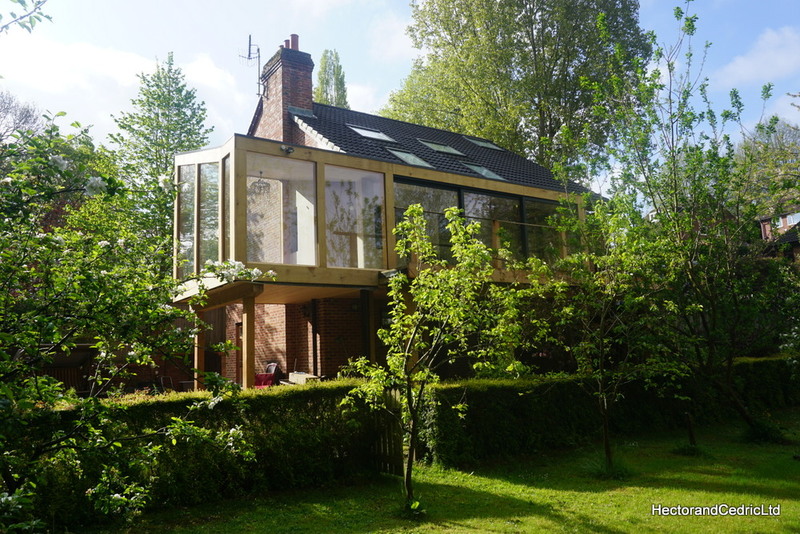 A raised fully glazed timber framed sun-room in Oak and Douglas Fir, which is connected to a veranda extension/adaption with a large sliding door opening onto a veranda and staircase to the garden below. 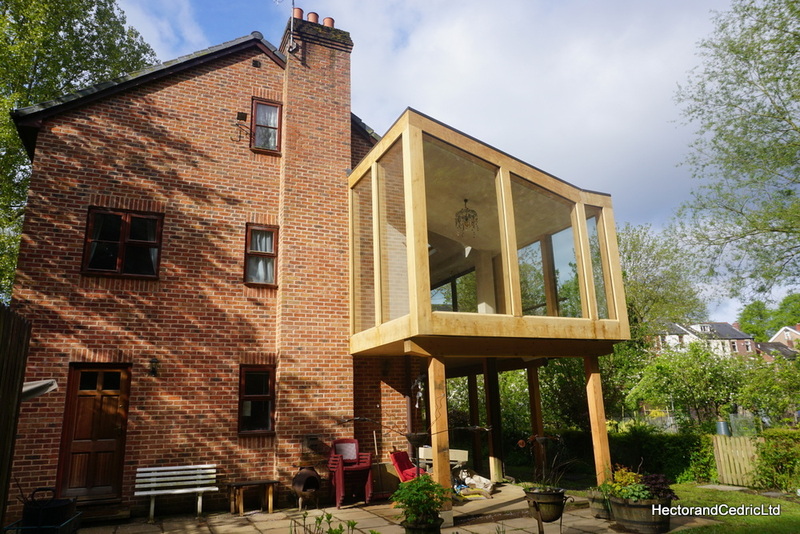 This sun room adds a large bright living space to the property. 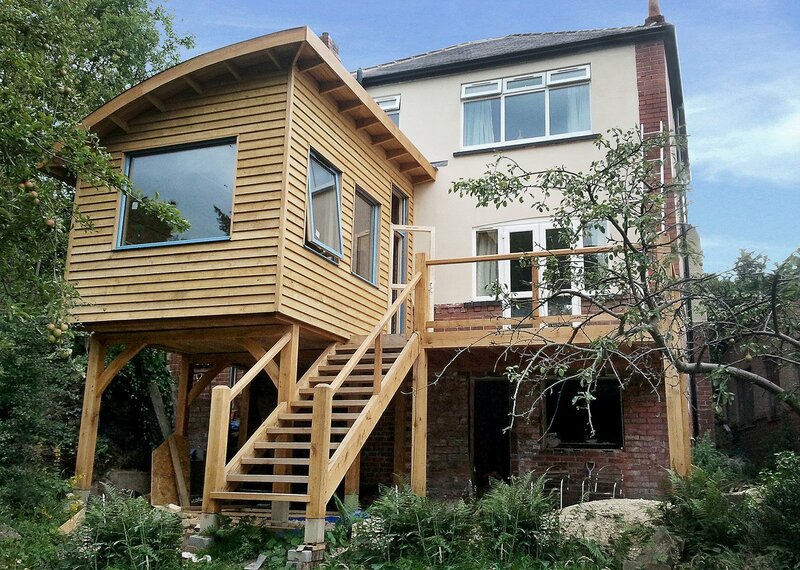 This building is a great way to extend a property in Sheffield for those of you who have gardens lower than the ground floor, as often is the case in hilly Sheffield. Supporting an extension on a traditional timber frame minimises the use of extensive foundations and ground work. 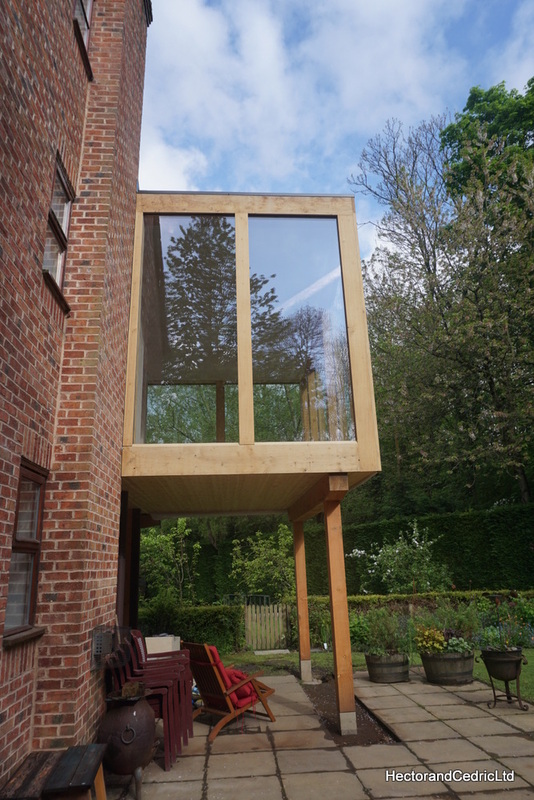 This is due to the lighter weight of the timber framed structure compared to common brick and block extensions, where you would not be able to achieve an attractive extension on stilts, which makes the most of a tricky building plot.